Winning a gold medal last August in the 2016 Olympics is a moment I will never forget. I wanted to go home that night. All I could think was: “I need to get back to Arkansas. I need to fly home to see my mom.” Of course there were two more weeks to spend in Rio after my event – and the closing ceremonies to attend – but all I could think about was being at home with Mom. Everything I’ve done has been for her. My mom was diagnosed with Alzheimer’s 11 years ago, when I was 17 years old. I’m the youngest of six kids, and she always did everything for the entire family, as so many mothers do. She cooked and cleaned and was always ironing and folding my shirts for me. She showed her love through all of those everyday things she did for all of us. My father – who is now her caregiver – was working long hours, so she was the one raising me every day. I remember her cooking meals and then forgetting to finish preparing them. Sometimes she would leave dinner behind to burn or be recooked later. I remember her staying out late and getting lost. There were so many little things that started to become bigger issues. It was hard watching this happen, because Mom was always there for me. She took me to my football practices and supported me at all my track and field meets. She would scream so loud at my meets that I could hear her over everyone; there was never a time I didn’t hear her. She would do anything for anyone – that was just the type of person she was. I remember one day in high school when I came home and I saw how badly Mom’s hands were shaking. It was just weeks after she was diagnosed with Alzheimer’s, and I could already see how sick she was getting. For the first couple of years after her diagnosis, it was rough for me, not really having anyone to talk to about the situation. It was hard just to focus at school. Luckily, my brother was there. I don’t know what I would’ve done without him. He told me that Mom had told him everything she wanted us to do. He said: “Jeff, she told me to tell you that you have to finish school.” I remember crying for almost an hour. My eyes were bloodshot, all red. Didn’t they know how hard it was for me to comprehend all of this? I didn’t know where to turn, or who to talk to. I rarely tell anyone what’s going on in my life; I am naturally quiet and tend to keep things to myself. But I do know that awareness needs to be brought to Alzheimer’s disease, so I will continue to raise awareness of this disease by sharing my family’s story. I want people to tell me their own stories. I want to keep the lines of communication open. When we talk about how we are facing this disease, it helps us feel less alone. My mindset during the Olympics in Rio was that no one was going to beat me. In my head, it was all for my mom. “I will not lose. I will win gold for her. I can control this moment, and make it mine.” I focused and worked hard, worrying about no one but myself in the moment of competition. It took a whole lot to get to that point, but I did. And I won. I feel like I am winning every day. I take after my mother, I hope. I am a nice person who cares about everyone. I will talk to someone living on the streets, offer money or help, and give my blessings – that’s how I cope with my situation. I continue to help others as my mom would. My mom continues to inspire me. Every day, she still fights through the disease, with my dad by her side. I am so happy she is alive, and that I could bring the gold back to her and place it in her hands. That is all that matters. Mom taught me to keep on fighting, and that is what I encourage other people dealing with this disease to do, whether you’re the child, spouse or friend of a person with dementia or Alzheimer’s. Talk to each other, support each other and stay grounded. You aren’t alone. About the Author: Raised in McAlmont, Arkansas, Jeff Henderson is an American track and field athlete. Jeff took first place with an 8.38 meter leap in the long jump at the 2016 Summer Olympics, bringing home a gold medal to his mother. Jeff encourages anyone in the midst of an Alzheimer’s diagnosis to find someone to talk to. Follow him on social media via Facebook and Twitter. Thanks, Jeff, for sharing your story and for raising awareness about this devastating disease! Lost my mom to Alzheimer’s it is a terrible disease. Your mother raised an incredible man. I remember hearing and seeing your story during the olympics and was very heart touched. All of us “mothers” felt the pride of your accomplishment and heart —- as your mother would. God Bless. Thank you for sharing, Jeff! God bless you & your family. You are a loving, strong man+I am certain your Mom inspired+guided you. Thank-you for sharing your story. I have been with my elderly Mom for 3 years as ALZ progressed through her mind+body. Such a difficult disease to live with. I understand what you are going through, I lost my grandmother to this ugly disease and now I have my mom in a nursing home with it. I always promised her no home but after her last fall at home,I had to keep her safe. She has arthritis so bad and is wheelchair bound because she wold never agree to total knee replacement. The nursing home is 3 miles from my home,so I am there almost daily. I run there and often bike. I cry almost daily when I am by myself. It hurts so bad to see here there but she adjusted well and likes it. She has no short term memory. Our conversation is did you work today? How is your kitty? How is Paul?my husband? Did you talk to anyone? These are the same questions the whole to of our visit. It is okay, because the will soon come when she will not know me. One thing for sure she knows I always got her back and will walk on fire for her. When I end our visit, she always tells me thank you for being a great daughter and I love you!!!! You have been very brave since the diagnosis. it is a terrible disease, my brother died at 60 from Lewry Body dementia ( a form of Parkinsons) and it was incredibly hard on the family but mainly on my sister in law. Now my husband has Alzheimer’s and so the journey begins. Thank you for sharing your story. Yes we need to share and support each other. My husband was diagnosed 6 years ago. He knew he had it 11 years ago I knew something was wrong 9 years ago. My younger brother John has been his one on one for 6 years. He would never admit to me he had the disease. I told him John needed his help. He allowed John to hang out with him. He loves to help people. It has been an incredible relationship for my Love, and my Brother. It has given me incredible relief to know he was safe and happy with my Brother. I am very blessed. There are people that would love to help. They just need to be asked. I pray for you and your family ,and hope your Mother can find Peace. God Bless you. We are very proud of your GOLD!!!! Hi Jeff never quit what your doing I’m crying as I am writing this. My wife got early onset 7 years ago and she stop speaking 6 months ago . I love her so much as Vega said I would walk on fire for her! But in this journey of life we must keep going and care for the unfortunate . God blesses us everyday for watching and comforting . Never stop you will be showered with his blessings! Stay strong and crying doesn’t mean your week! Barry I know exactly what you are going through. My mom passed on the 11th of this month I feel like I am on a cloud. It hurts so bad. Do not stop speaking to your wife. She hears every word. Turst me I spoke to my mom every single day until her last breath. I was fortunate she could still smile at the end. They know we are there they are listening. Be strong she needs to know you are ok. God Bless you and your family and I am keeping you in my prayers. My mother passed away 12 years ago from Alzheimer's. It was one of the hardest times of my life and I still deal with this on a daily basis. I appreciate your words. Continue the fight together! 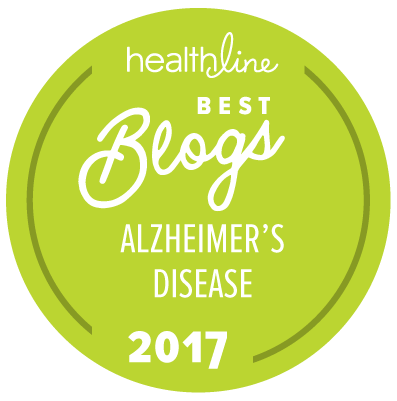 MR. HENDERSON, YOUR STORY IS THE FIRST I'VE READ AS I START MY OWN TRY AT BECOMING AN ALZHEIMER DEMENTIA "ACTIVIST" IN HONOR OF MY SWEET WIFE, JUDY, OF 50+ YEARS. JUDY PASSED AWAY ONE MONTH AGO. OH, I MISS HER SO MUCH! YOUR MOM'S STORY AND YOUR GOLD MEDAL IN HER HONOR ARE A MAJOR "LEAP FORWARD" FOR YOU AS A POWERFUL YOUNG AMERICAN MAN AND YOUR FAMILY AND OUR ENTIRE NATION AND THE WORLD. YOU ARE GOING TO REACH SCORES OF THOUSANDS OF PEOPLE WITH THIS INCREDIBLY TOUCHING HUMAN EPIC AS THEY AWAKEN TO THE DREADFUL NATURE OF THIS DISEASE. ONLY WHEN PEOPLE LIKE YOU STEP FORWARD TO EDUCATE OTHERS ARE WE GOING TO DEFEAT THIS CRUEL DISEASE! GOD BLESS YOU. Jeff, thanks for sharing your story. I lost my dad almost two years ago; he had been diagnosed with alzheimer's for about 6-7 years before he passed. I am so thankful he always remembered my sister and me and was so thankful we were always there for him. Fortunately, he was able to live in his home with the assistance of aides who were with him 24/7. I am hopeful that someday soon a cure will be found to eliminate this horrible disease. Thank you and the struggle is real and the community need to know that help is here. Thank you for sharing your mom with me. I am an advocate and will help get the word out and educate our community. Stay encourage.